Michigan is an amazing state. It’s surrounded by the Great Lakes and has hundreds of miles of some of the most beautiful beaches in the world. Camping is very popular in Michigan. It is a grat way to enjoy the Great Lakes because you have a lot of campgrounds on the beach. The best way to camp on the beach or anywhere is in an RV. I’ve camped in a tent but I will admit that it is a lot better in an RV. If you have ever experienced a thunderstorm rolling over the lake then you know why I say camping in an RV or camper trailer is way better. Even if you are not camping on a beach the best way is in a trailer or RV because of the storms and it’s just way more comfortable especially when the mosquitos and come out and when it gets real humid. Michigan is also home to a lot of sports teams. College and professional and the very best way to tailgate is in an RV. It’s always best if you have a friend that has one but when that does not work out then you need to have your own because lets face it, it’s a blast tailgating. It’s like a class reunion with only your best friends. If you don’t own an RV or have any desire of going through the hassle of ownership of one then the best way is to have a Michigan RV rental. You have to be careful when renting and make sure you and the owner are covered. 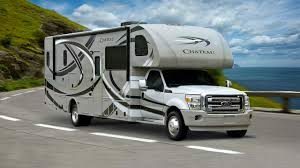 A good example is never rent from craigslist because who knows what is really going on with the RV and if the owner has any type of insurance. This is my favorite way to rent. This is very similar to AirBnb but with RV’s. You can find some great deals. You have a couple different options here but my favorite is RVShare. Check out my review here. 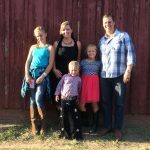 You basically go to their website put in your location and then you will find a bunch of people that want to rent their RV or camper for a reasonable price. You also have to pay a little extra for the insurance but it is well worth it because accidents do happen. But make sure you don’t try and book at the last minute because remember you are dealing with owners and employees that have to take your call all day everyday. This is actually not a bad way to go. I have used them once and had a good experience. The RV we got was nice, clean and well maintained. We felt safe and clean and confident that it would get us from point A to Point B. The only down side is that Cruise America has their name and phone number plastered all over it. So everybody knows you are an amateur tourist. If you are okay with that then its fine. They also tend to be a little spendy and you have limited locations where you can pick them up and drop them off. Also be sure to read everything because if you’re not careful the extra charges can start adding up real quick. Overall this is not a bad way to go. Dealerships are starting to get into the rental game because it’s an extra revenue generator for them. If you can find a dealership that knows what they are doing at your location then this is also not a bad way to go. The downside is that you have to find one at or near your specific locations so you are limited as to where you can pick one up or drop off. You are also limited to the hours the dealership is open and if it’s a busy holiday weekend the salesmen have other things on their minds. They can also tend to be a bit spendy also but if you find a dealership that you like and trust then this can be a great way for you to go. You have many different options when renting an RV in Michigan. My favorite being the peer to peer option with the other ones following in behind are good options also. Whatever you do make sure you are covered if any sort of accident happens. Other wise have fun camping in Michigan.